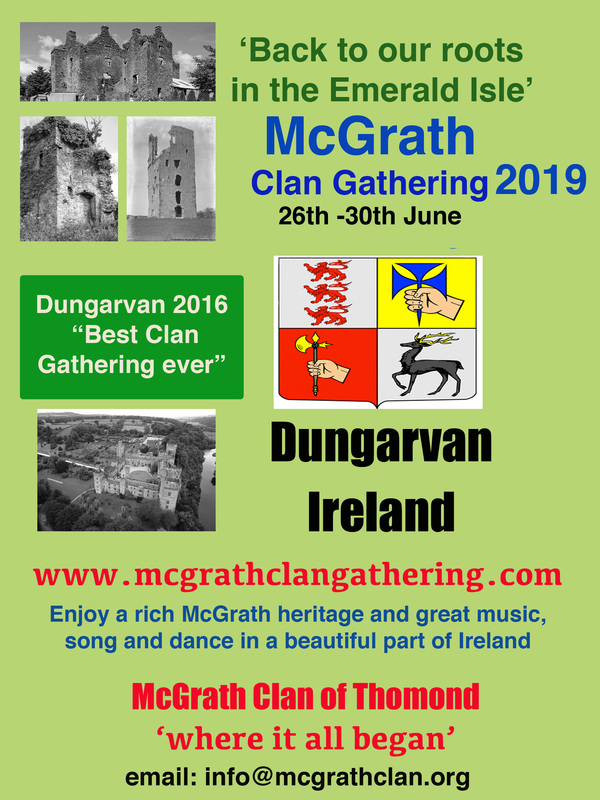 Please note that the organizers of the McGrath Clan Gathering are currently the only source of tickets for the Clan Dinner on Sunday June 26th. At a later date, we may have some for sale at outlets in the town. They are included in the registration fee for the Clan Gathering. This entry was posted in Uncategorized on December 26, 2015 by McGrath Clan (official).